Below is a list of all of our products and publications.Click on an image to see a larger version. The one you selected from the previous page will have a '1' entered in quantity. If you wish to increase this number, please do so by entering the new quantity before proceeding to the check out. You can also buy more than one product at a time by checking the 'buy' box next to any products and entering the quantity you wish to purchase. 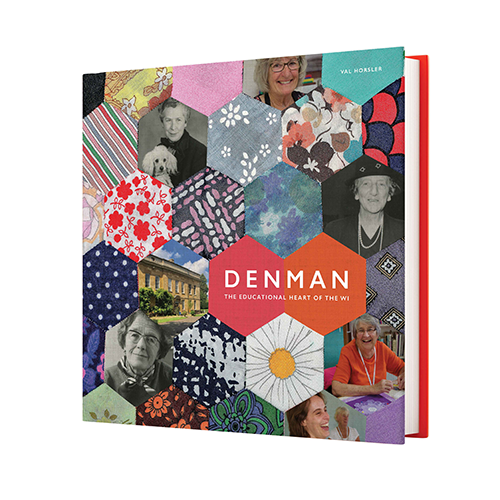 Celebrate the magic of Denman and 70 years of history with this lavishly illustrated gift. With never-before-seen images from the rich archives, Denman is the perfect souvenir for past and present students of the WI's much-loved centre for learning. The book is hardback and has an introduction by Val Horsler. Price: £30 including postage. This 2015 edition of On with the Show has been written for exhibitors, judges and show committees and replaces all previous editions. It is an invaluable guide and should be recommended for use by everyone, whatever their involvement in show work.. Price is £11.50 including p+p (£8.50 if collected from the NFWI Unit). 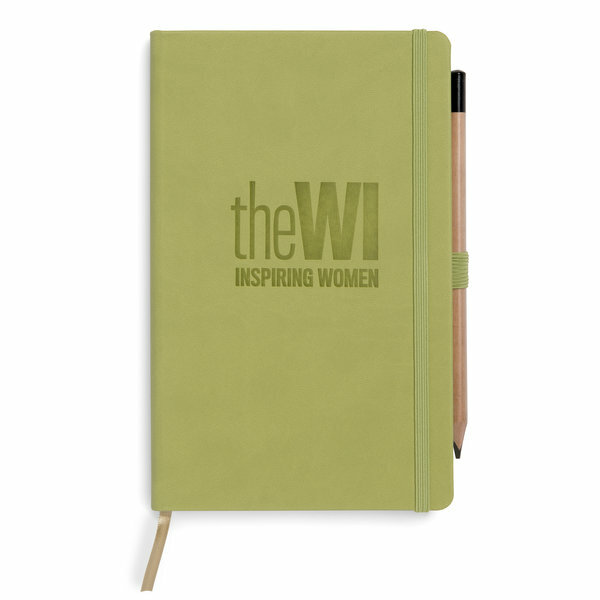 Registered NFWI Judges will receive a 20% discount; please contact Helen Neal at the NFWI Unit directly to place your order and receive the discount. Please note: the price quoted is to purchase and post a single copy of On With the Show. Additional copies will incur a higher postage fee. Green A5 notebook with 240 lined pages and a card pocket. The paper is FSC certified and the notebook comes with a pencil, has a ribbon marker, matching elasticated band and pen loop. Price: £12 including postage. Pink A5 notebook with 240 lined pages and a card pocket. The paper is FSC certified and the notebook comes with a pencil, has a ribbon marker, matching elasticated band and pen loop. Price: £12 including postage. 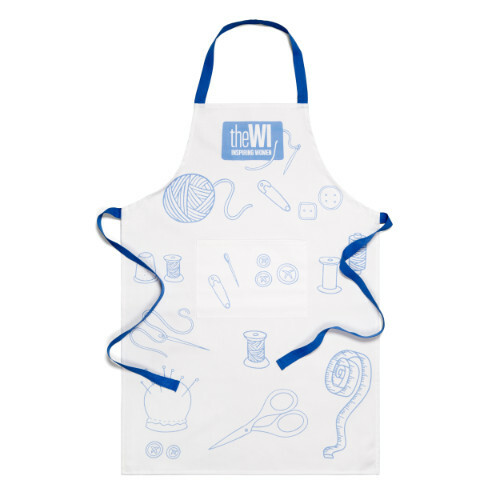 The new WI apron co-ordinates beautifully with the WI tea towel, sharing the same craft-inspired pattern and featuring the WI logo. Made of high quality cotton drill, this easy-care, practical apron is machine washable and made to last. Price: £12 including postage. 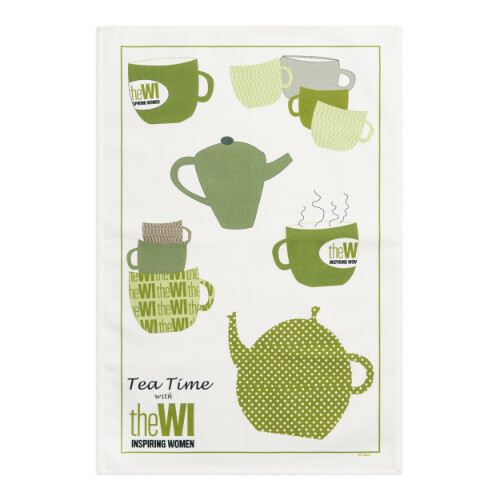 Featuring the WI logo and a craft-inspired pattern the new WI tea towel is not only practical but also makes a lovely addition to any kitchen. Made of cotton drill – a strong and durable drying cloth - this tea towel is also perfect as a souvenir. Price: £6 including postage. 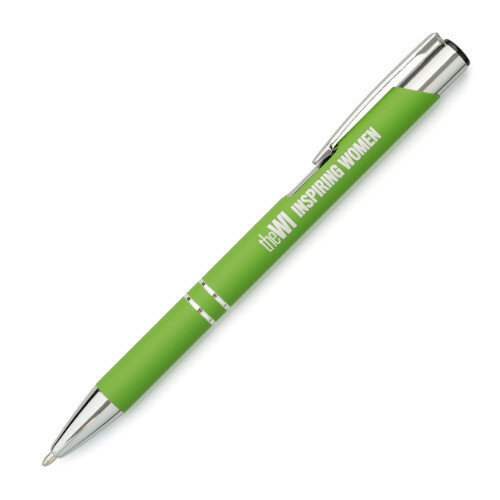 This WI green ballpen has a soft touch finish, a twist action and smart chrome clip and features the WI logo. Ink colour: black. Price £3.20 including postage. 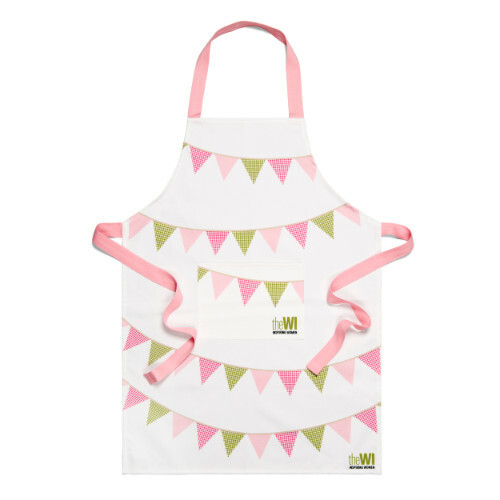 The new WI apron co-ordinates beautifully with the WI tea towel and cotton bag, sharing the same colourful bunting pattern and featuring the WI logo. Made of high quality cotton drill, this easy-care, practical apron is machine washable and made to last. Price: £12 including postage. 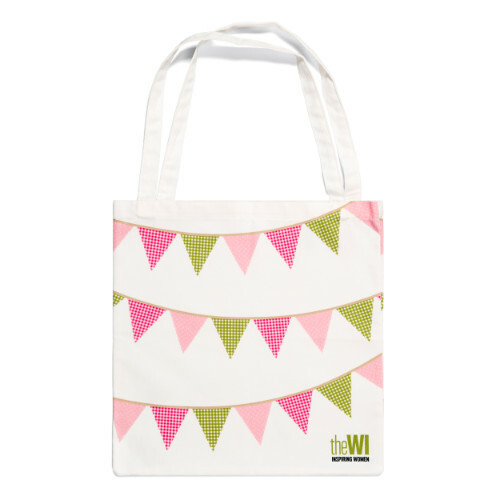 Featuring the WI logo and made of cotton drill this bright and colourful cotton bag is perfect as a souvenir. Price: £7.50 including postage. 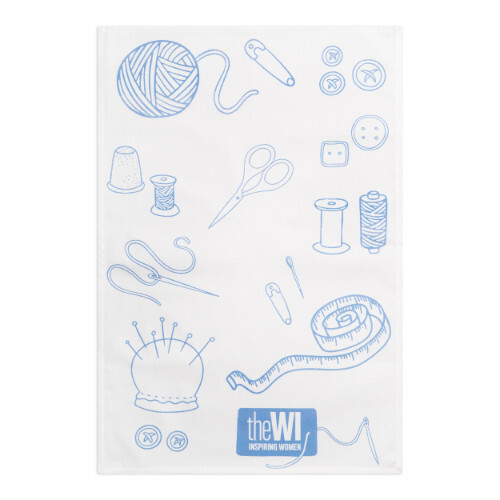 Featuring the WI logo and made of cotton drill – a strong and durable drying cloth - the new WI tea towel makes a lovely addition to any kitchen. Price: £6 including postage. 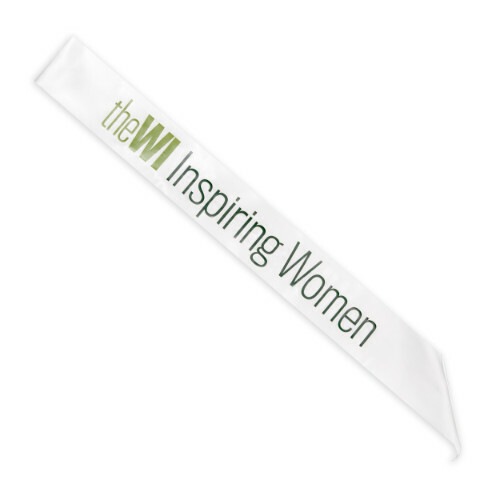 The WI sashes are made from high quality ribbon and measure approximately 1.22m. 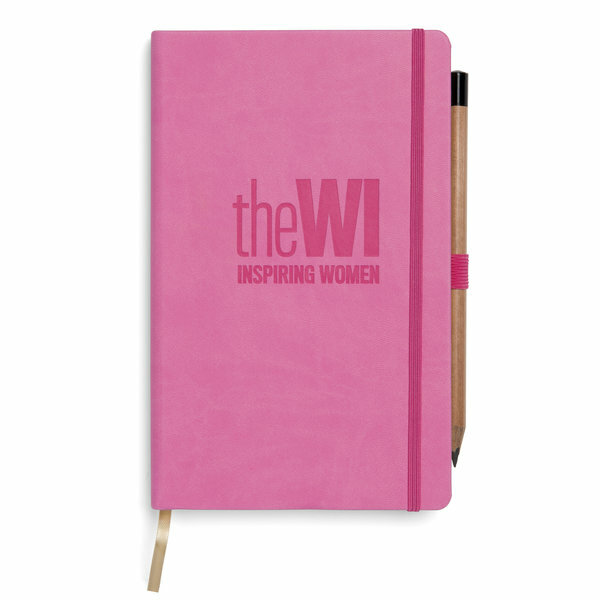 They are also printed on the front and back with the WI logo and the strapline ‘Inspiring Women’. Sashes are £7.50 including postage. Like to protect your clothes when cooking but not lose your domestic goddess look? 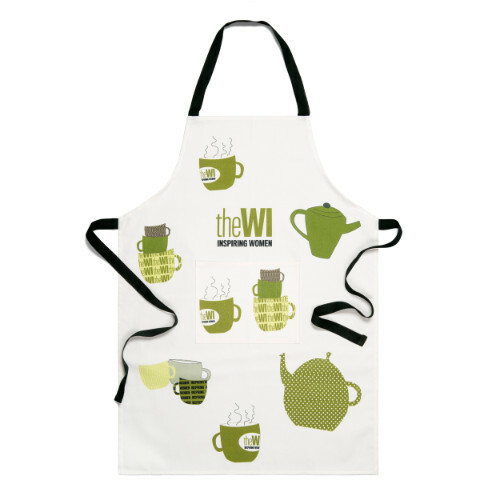 The new WI apron co-ordinates beautifully with the WI tea towel, sharing the same vintage-inspired pattern and colours and featuring the WI logo. Its design aims to create a ‘retro’ yet fashionable look. Made of high quality cotton drill, this easy-care, practical apron is machine washable and made to last. Price: £12 including postage. 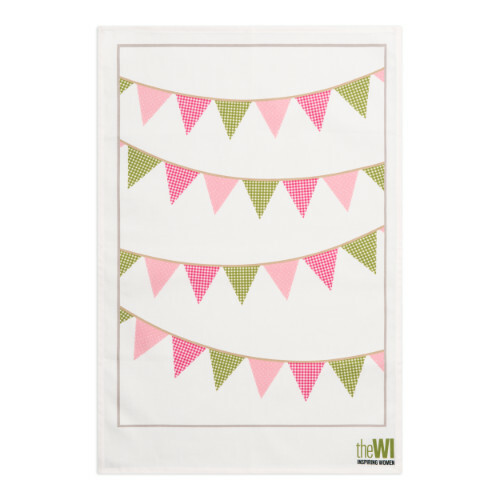 Featuring the WI logo and made of cotton drill – a strong and durable drying cloth - the new WI tea towel is not only practical but also makes a lovely addition to any kitchen. This tea towel is also perfect as a souvenir with its retro-inspired design. Price: £6 including postage. 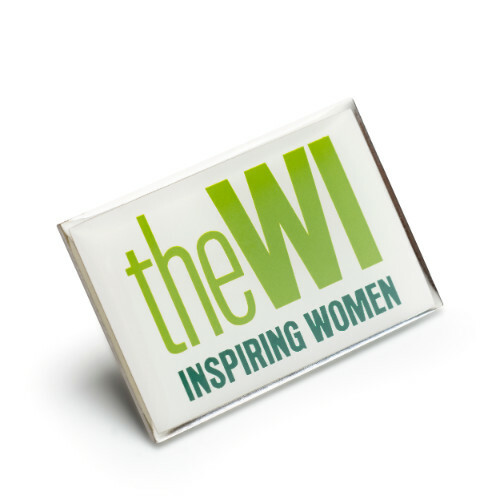 The WI member's badge is a great way to show your support for the WI. 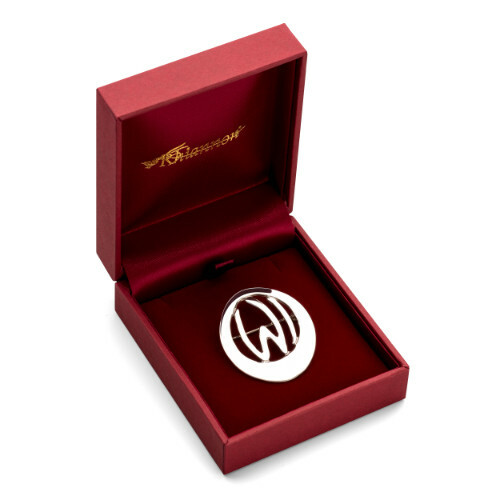 It features the new and vibrant WI logo and it is perfect for wearing on your lapel. This rectangular lapel pin badge is made of hard-wearing enamel, covered with a clear acrylic cover, has a silver-plated outer rim and is fitted with a butterfly pin attachment. Price: £5 including postage. If you aren't able to attend regular meetings, you can join as an NFWI Associate for £52 a year. 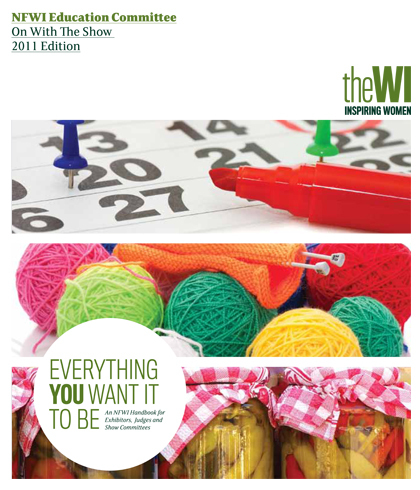 This entitles you to our membership magazine WI Life, a copy of our Annual Review, a money-off voucher booklet, and access to My WI. Please note, only women can become NFWI Associates. If you are already an NFWI Associate and want to renew your associateship, follow this link. Please note, only women can become NFWI Associates. 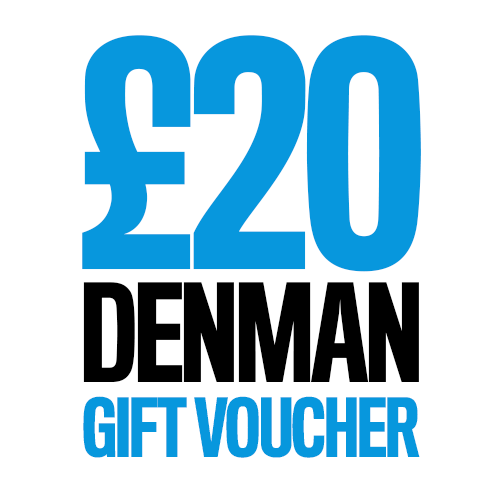 Buy an experience – gift vouchers are available in units of £10 and valid for three years from the date of issue. 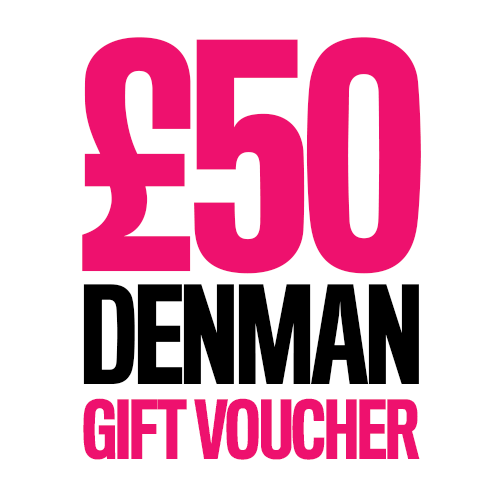 Vouchers can be used as payment for any course or event at Denman. By law, under the Distance Selling Regulations customers located in the European Union have the right to withdraw from the contract to purchase an item within seven working days of the day after the date the item is delivered. If you wish to return an item purchased online, please return the item stating the name of the person who ordered the item, their email address, the order number and the reason for the return. Please ensure that any items to be sent back are returned securely; you may wish to obtain proof of posting as we cannot be responsible for items that are not received. If you wish to cancel an Associate Membership, please email the membership department stating your desire to do so, using the contact formhere.